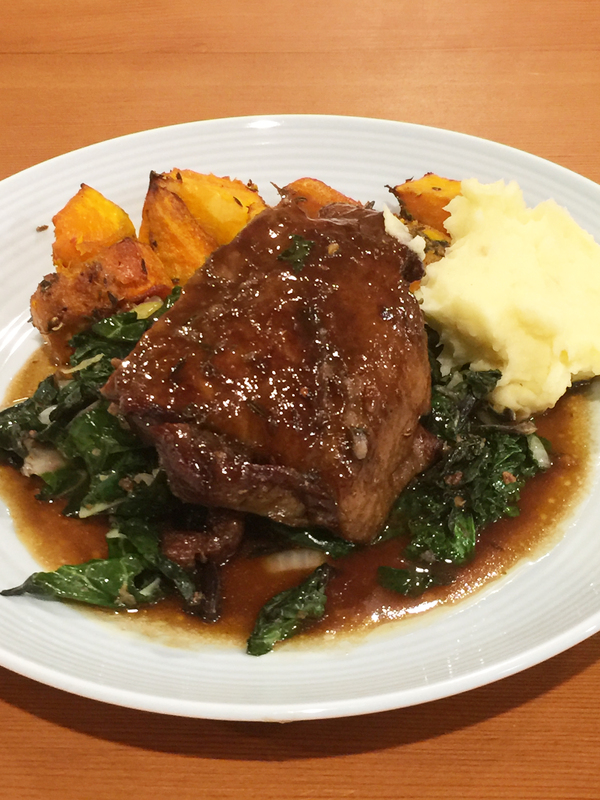 Feeding a crowd is a breeze with this Slow Cook Lamb Shoulder recipe. The Lamb ends up so soft you can scoop it with a spoon. 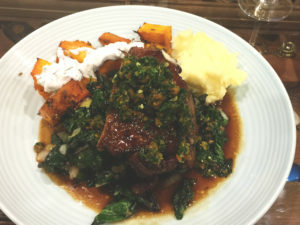 This recipe is inspired by a new restaurant in Auckland serving Lebanese cuisine. Gemmazye Street’s menu is a feast of the unusual for real Foodies looking for a special night out. Featuring already in Cuisine’s Top 100 Restaurants, they are located in St Kevin’s Arcade on Karangahape Road, a unique enough setting in itself, with a view all the way to the Sky Tower. Well worth a visit with a very welcoming atmosphere. In the meantime, here is my take on a wonderful Lamb dish they serve. Tip: If you use a pressure cooker for this recipe, you can reduce the cooking time by two thirds. Heat oil and butter in a large pot or oven dish deep enough to accommodate the Lamb and liquid to almost cover. Rub Corriander and Cumin seeds over Lamb. Sear Lamb until golden brown and remove from pan. set aside. Add vegetables to the pan and sear until softening and Onion is golden. Return Lamb to the pot. Place on top of vegetables. Add diluted glaze and stock to almost cover the lamb. Remove lamb from pot. Strain out the remaining liquid, discarding the vegetables. Gently boil meat juices on the stove until reduced to a syrupy liquid. Add the Divinity Pomegranate reduction. Taste and season. 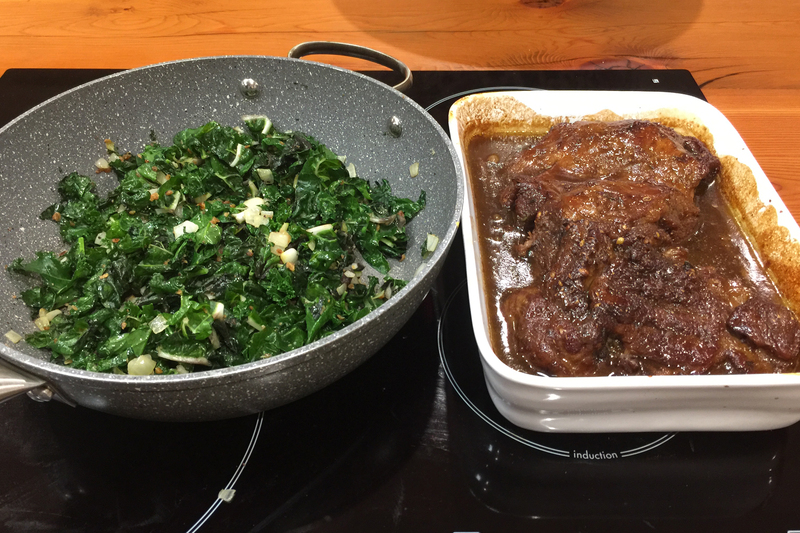 Increase oven temp to 180 degrees C.
Return the Lamb to the oven and roast for 20 minutes basting every 5 minutes with the reduced meat juices. This is a labour of love but well worth it. Allow the meat to rest for 10 minutes while you combine all the Gremolata ingredients and season to taste. 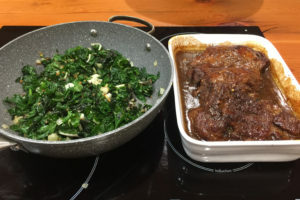 Serve the Lamb with wilted greens and mashed potato. Sprinkle with the Gremolata and serve the whole lot at the table, with any unused meat juices, so that your guests can help themselves. Try serving a Beetroot Humus on the side for a bit of extra colour.